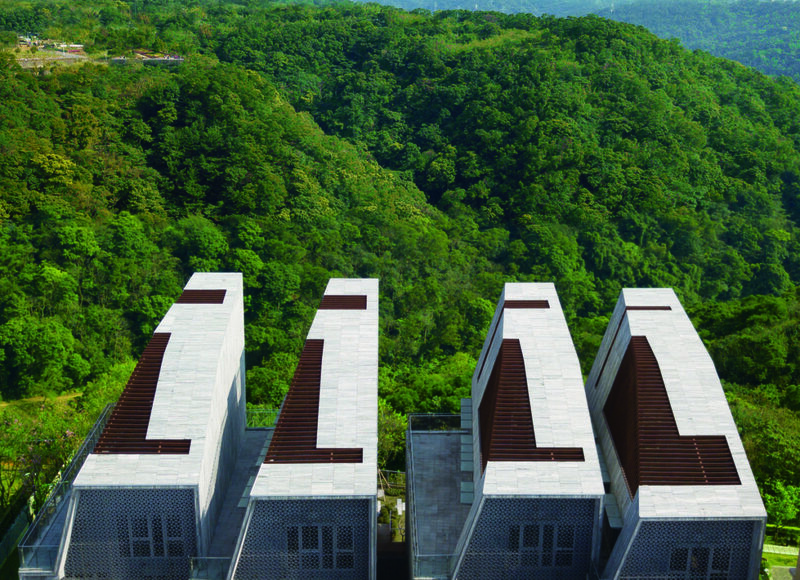 Located on a cliff edge site in Taipéi, Taiwan, the breathing houses are a group of seven peculiar town homes designed by ROEWU architecture. 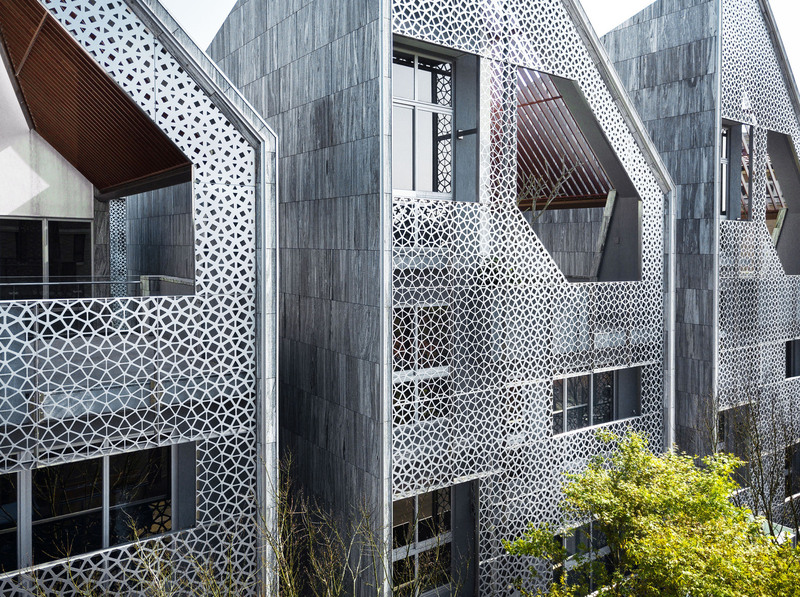 Shaped by wind and weather patterns, the homes have distinctive forms with double height spaces and courtyards that ensure both cross and stack ventilation bringing a constant flow of cool air through the home while hot air exits. 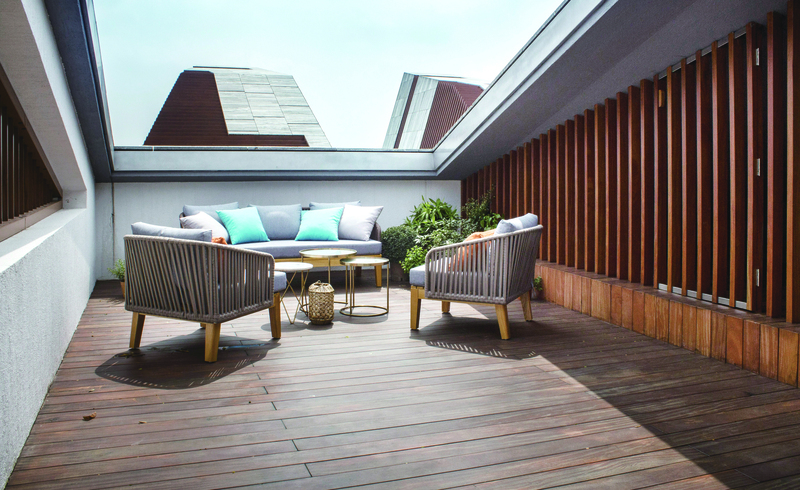 The courtyard being the focal point of the homes also allows for an indoor-outdoor living experience. Taiwan is a densely populated island with a population of 23 million squeezed onto an island, about one-sixth the size of Great Britain, of which most is mountains and rainforest. This means that extremely tightly packed dense development is not only allowed, but it is also actively enforced -both by regulation and market conditions. Linkou is one of a series of new towns being developed along the route of a new high-speed rail link from the airport to Taipei city center. The site for this project is located on a bluff at the edge of the new town with spectacular views across a thickly forested valley below. With an area of just 0.6 HA, this site was zoned to have 7 large houses in close proximity to each other. 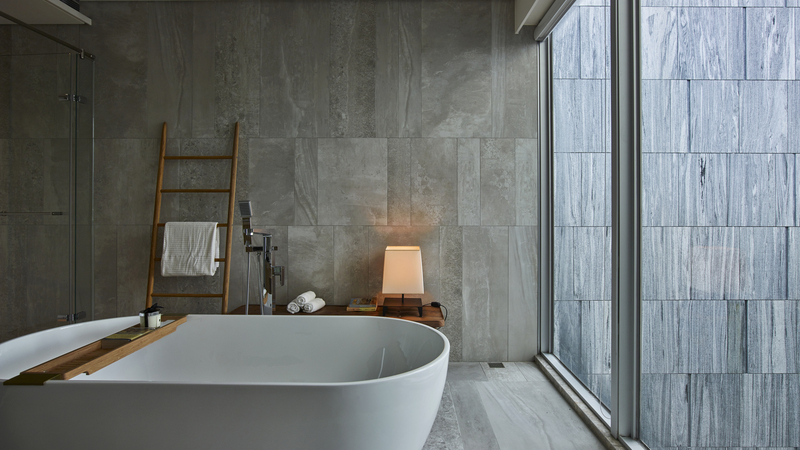 This creates issues not just of privacy and overlooking but also environmental issues to do with natural light and ventilation. To alleviate this, the flow of air around the external form and internal spaces of the houses was digitally simulated. The external form and internal layouts were then adjusted to maximize natural ventilation. Roofs that tilt up to induce low pressure, internal voids and staircase stacks that allow warm air to rise and openings at a low level all ensure a constant flow of air through all levels of the houses. 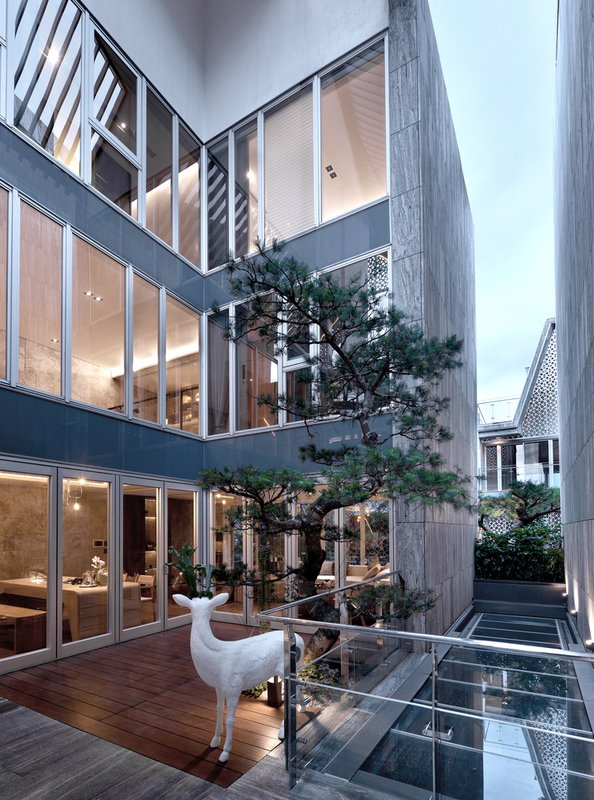 These strategies also generate the unique forms and spacious interiors of the houses. 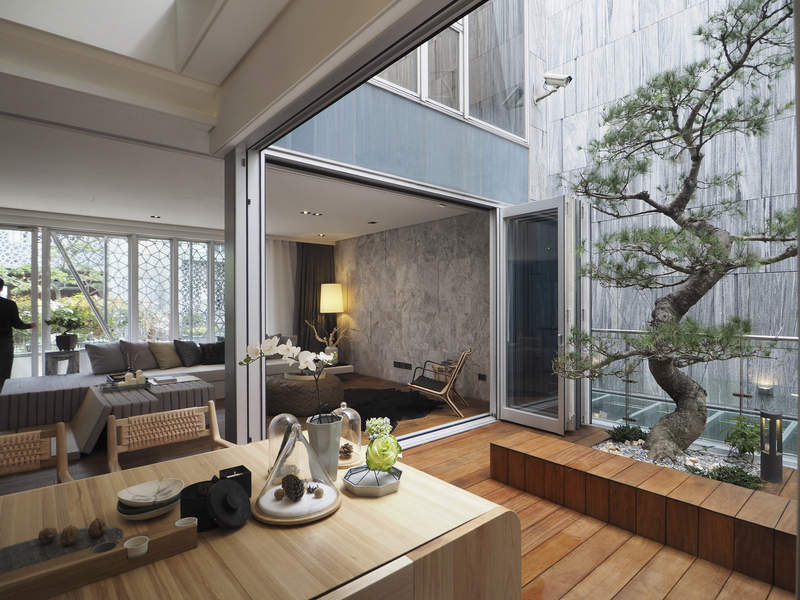 Despite the close proximity of the houses it was important to bring natural light into all spaces. 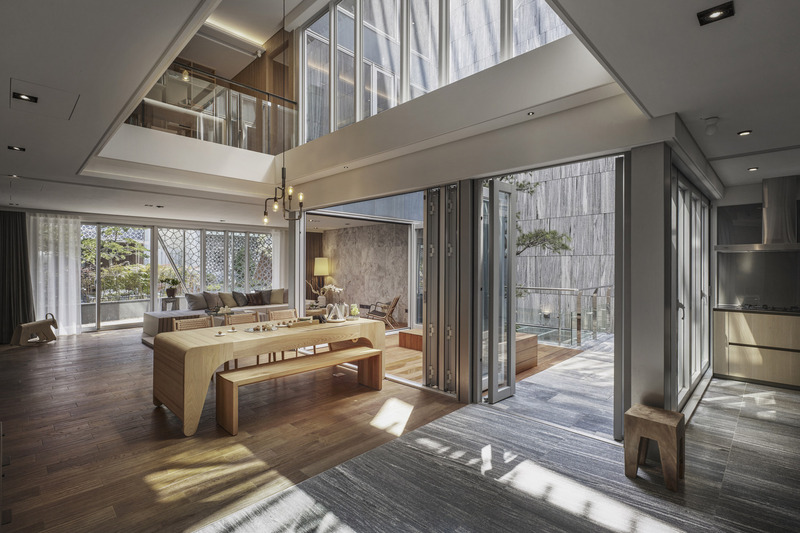 Courtyards and double height voids, with skylights above, bring light into the hearts of the houses but it is in their facades that the natural lighting strategy produces the most innovative design solution. 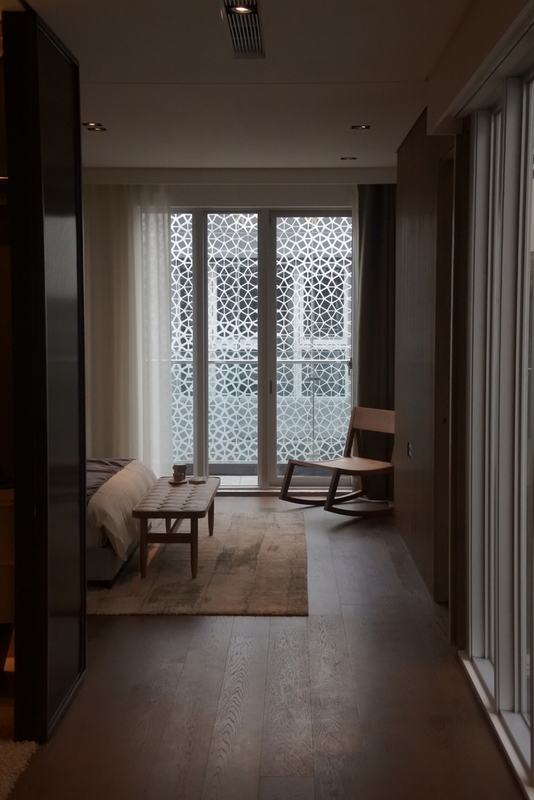 Continuous metal screens modulate the light and control views both into and out of the buildings. 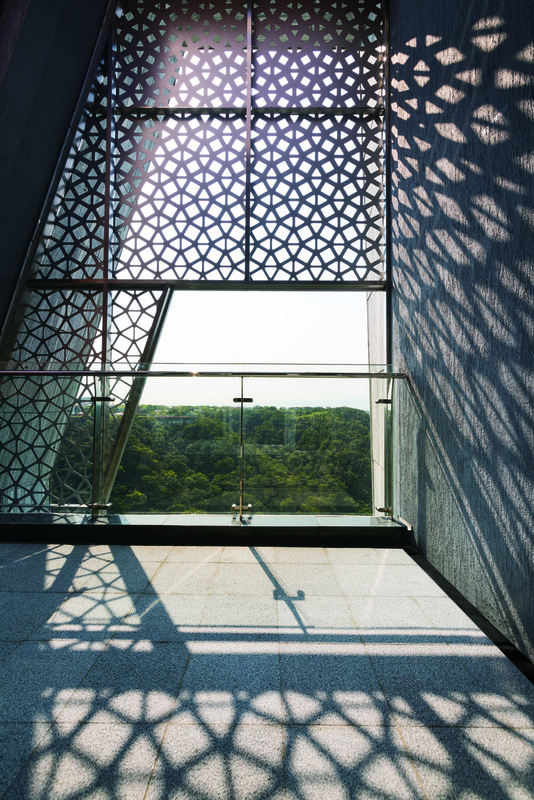 Computer algorithms were used to vary the density of the pattern across the facade creating a seemingly random but carefully controlled blizzard of material which is actually precisely controlled to locally respond to privacy, views and lighting needs. 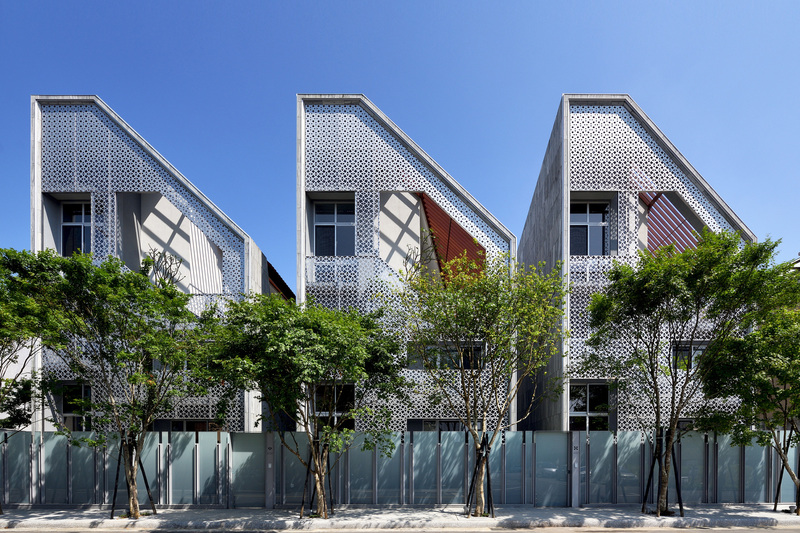 These houses represent a new paradigm in Taiwanese housing -moving away from the dark, artificially lit and cooled typology which has dominated since the mid-20th century to a new typology; A typology which is bright and breezy and has stronger connections to the weather and nature outside. 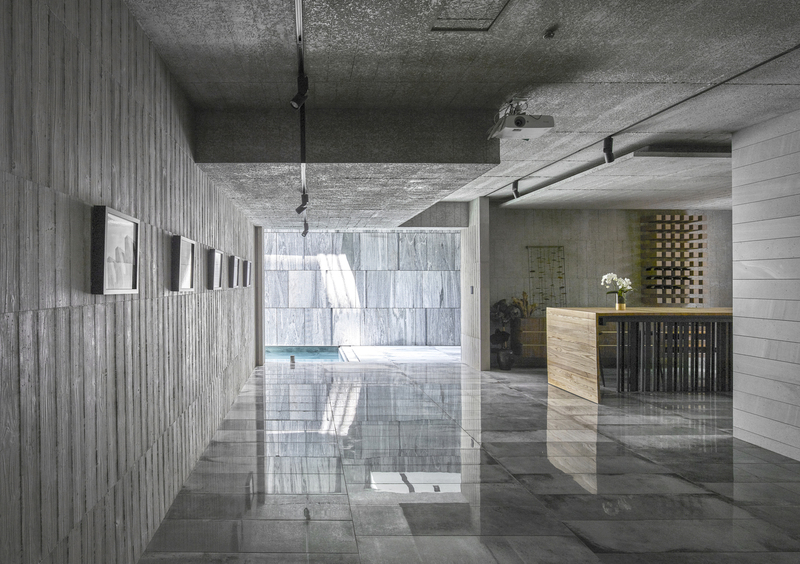 Though densely packed and structurally solid they create an atmosphere of lightness and privacy -a welcome refuge from the busy city outside. 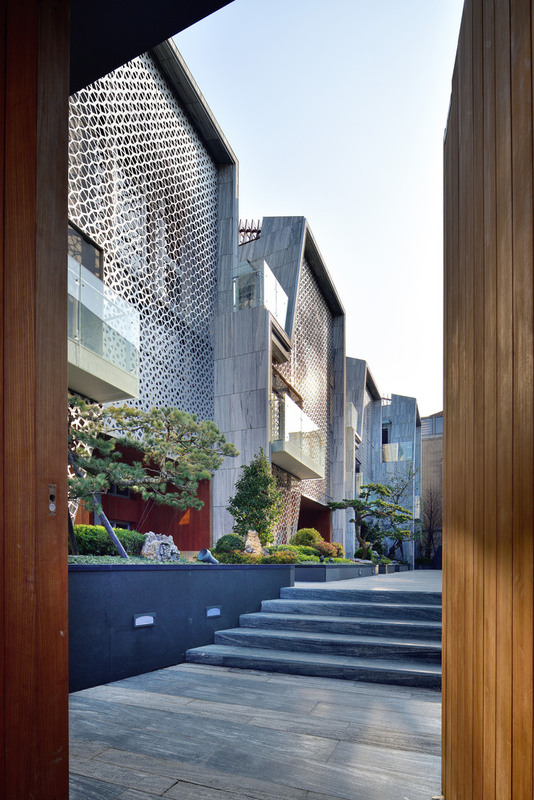 The houses have already been recognized by the ABB Leaf Awards, 2A Continental Architecture Awards and the Perspective A&D Awards 2018.